In this notebook/document we apply the monad QRMon, , over data of the XKCD post . In order to get the data we used extraction procedure described in . I extracted the data from the image using code in the blog post "How to Count Cells, Annihilate Sailboats, and Warp the Mona Lisa", . 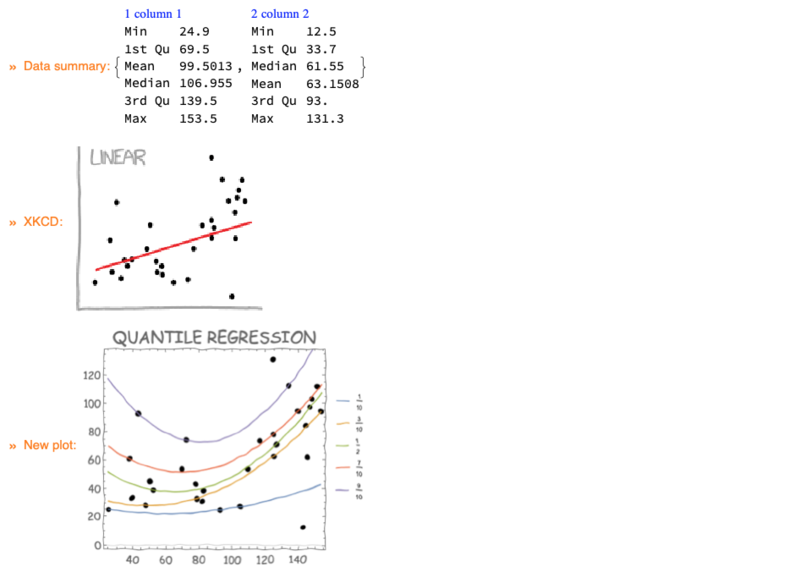 Here we just make the new XKCD plot made in QRMon pipeline above to look more like one of the curve-fitting plots in the original XKCD grid. 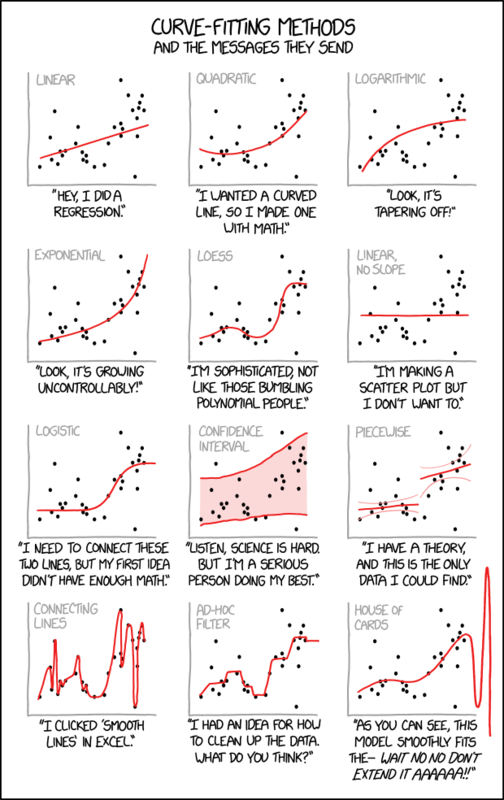 Randall Munroe, "Curve-Fitting", xkcd.org. https://xkcd.com/2048/ . Shadi Asnai, "How to Count Cells, Annihilate Sailboats, and Warp the Mona Lisa", (2012), blog.wolfram.com. 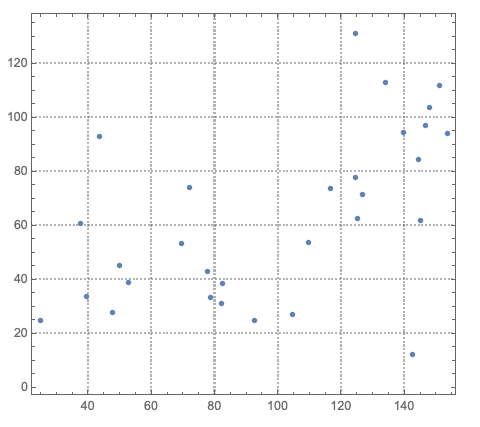 Simon Woods, Mathematica Stackexchange answer to "xkcd-style Plots". https://mathematica.stackexchange.com/questions/11350/xkcd-style-plots. 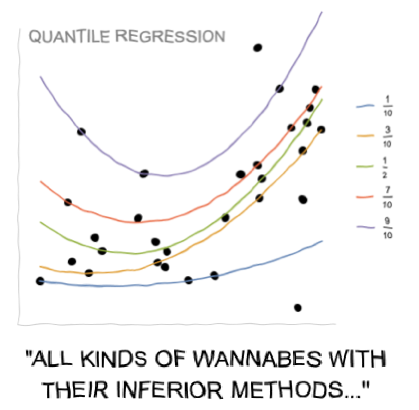 Anton Antonov, "A monad for Quantile Regression workflows", (2018), MathematicaForPrediction at WordPress. Anton Antonov, "Monad code generation and extension", (2017), MathematicaForPrediction at GitHub, https://github.com/antononcube/MathematicaForPrediction. More than 1000 views on LinkedIn of the comparison image at the top of the post. Thank you, l van Veen -- you are kind!